We came across some interesting facts about Riyadh that are simply amazing, and we thought it would not be right for us to keep it to ourselves. And who expected our very own Riyadh to hold so many world records. German biscuit-maker Bahlsen constructed the world’s largest pyramid made of biscuits in Granada Mall. The feat was achieved as part of celebrations marking the 125th anniversary of the biscuit marker. The Al Masaa Café holds this record, boosting a capacity of over 1000 seats. 21 year old, Ahmad Amin Bodla who hails from Pakistan managed to accomplish 783 kicks with one leg. Breaking Indian master Sidhu Kshetri’s world record of 620 kicks. Bodla also managed to secure the record for the most number of punches in one minute in the Wing Chun style of martial arts, accumulating a total of 313. In addition to this Bolda holds 18 world records, most of which he achieved in his home country. A Saudi citizen Mohammed Alasiri claims to have made the longest rosary in the world, measuring about 150meters and weighing around 350 kilograms. It contains 1500 beads, all made from Romanian wood. 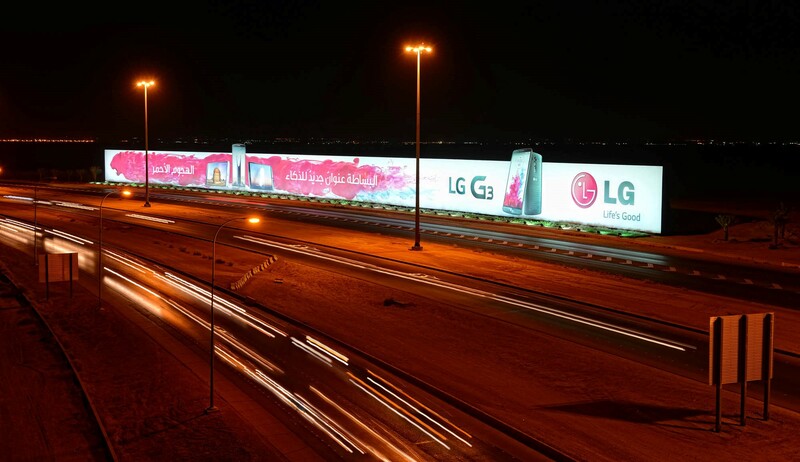 LG, JCDecaux and King Khaled International Airport jointly contributed to the construction of a huge outdoor advertising structure measuring 250m x 12m. It has a total surface area of 3,000m2 and was completed in just 3 months. The total land area allotted to the airport amounts to an area of 315 square kilometers (78,000 acres). This record was surpassed by another airport in the country, the KFIA, which boosts with a total area of 780 square kilometers. Disclaimer: These records are subject to change and we aren’t aware if any of these records have been broken in the recent past.